Mark Aguilar from PEMCO of NEW MEXICO, Inc.
What’s it like to work with Carlson Energy? -Garry Buie, President, Pemco of New Mexico, Inc.
What do you say when speaking with a customer who hasn’t heard of Carlson Energy? How do Carlson Energy’s products hold up in the tough oil field conditions? “Carlson’s products are great – and they get better every year. 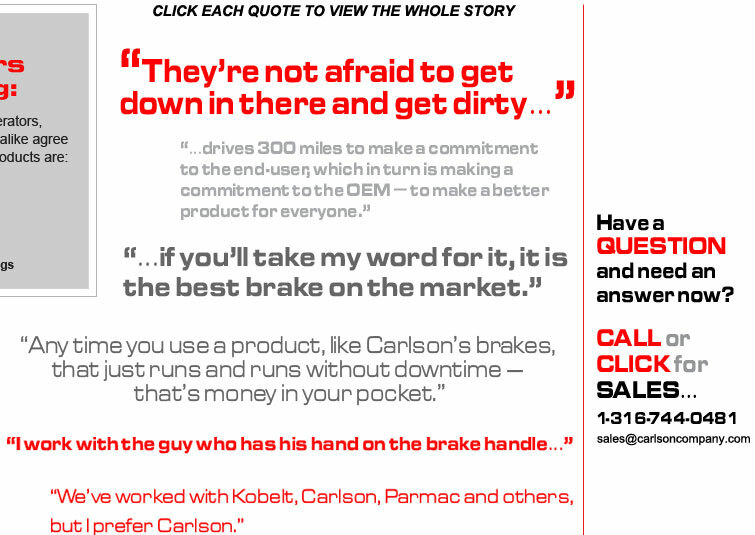 Any time you use a product, like Carlson’s brakes, that just runs and runs without downtime – that’s money in your pocket. What do Well Servicing firms have to say about Carlson Energy products? Carlson Energy brakes are easier to use and easier to own. -Mark Aguilar, Operations, Pemco of New Mexico, Inc.
As a retrofitter, how do Carlson Energy products work for PEMCO of New Mexico? When we do retrofits, I can put on any type of brake for a customer. We’ve worked with Kobelt, Carlson, Parmac and others, but I prefer Carlson. We just installed a double disc on a unit in Tonapah, Nevada. We’re in Hobbs, New Mexico… and we’ve put Carlson Brakes in rigs all over the state of Texas and New Mexico over the last 3 years. About PEMCO of New Mexico, Inc.
PEMCO of New Mexico continues the tradition of excellence in their commitment to their customers by providing quality craftsmanship and innovative designs. PEMCO’s accumulation of knowledge through the decades has provided solutions for their customers, which includes the manufacture of obsolete parts, enhancement of original designs and ongoing innovation to meet their customers' requirements.